Well, let's say that some people have more bones than others. This phenomenon is a function of the age and the lifestyle of the individual involved. For instance, it has been discovered that babies have about 270 bones at birth. However, as they become older most of those bones will fuse together. Going further, the lifestyle of an individual can very much dictate if they will have more bones than others. For example, the number of bones of a physically active person is going to differ from that of someone that prefers to hang on the couch all day long and watch Netflix while eating everything the kitchen can produce. 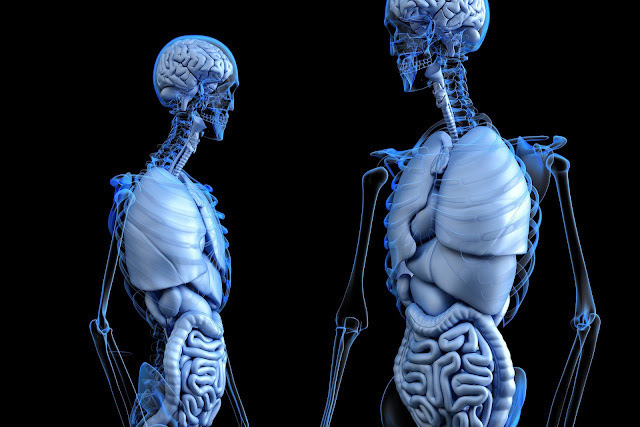 The bottomline of all these is that the normal number of bones in the body is 206. However, it's possible to have more than that because of age and lifestyle. If there are 206 bones in the body, what are they? And how can one locate them in the body? The bones of the human were grouped so as to enable easy understanding. And these groups also have subgroups. 1.The axial bones: These are the bones that make up primarily the axial skeleton. This means that all the bones of the head and the trunk belong to this list. Counting it one by one, only 80 bones can be identified. There are some subcategories or subgroups under this group and they are just six in number. These subgroups are the hyoid bone, the middle ear ossicles, the rib cage, sternum, vertebral column as well as the skull. 2. The appendicular bones: These are the bones that can be located in the appendicular skeleton. It consists of 6 major categories viz arms and forearms, pectoral girdles, left and right humerus, scapula, left and right clavicles, ulna and radius, pelvis as well as the left and right hip bones. In all, 126 bones can be located in the appendicular skeleton. As you can see, summing the 80 bones of the axial skeleton with the 126 bones of the appendicular skeleton, you will get the 206 bones of the body. Note that there are some bones in the body that doesn't have any name in the body. They don't appear in every body and so are not common. They are formed over time and along the high friction areas of the body. Perfect examples of these bones are the sutural bones and the sesamoid bones.